I have been coming to Yosemite since childhood and dreamed of someday owning a cabin in Wawona. As a native Californian, we visited Yosemite often as a family. My family hiked, rafted, and spent time together in this magnificent wonderland. 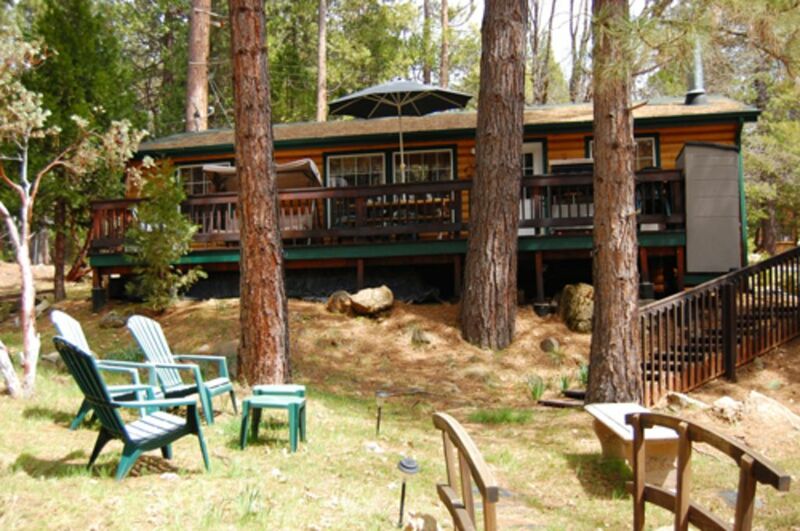 We chose this location due to the close proximity to the South Fork of the Merced River. In the Spring, you can hear the river and enjoy the seasonal stream. There are oaks and pines on the property and the location is perfect for relaxing on the deck. The peacefulness of this location and the charm of the cabin makes one feel right at home. For pet owners, there is a small fenced area for your dog to roam. Two full bathrooms. Towels, bath soap, shampoo and conditioner are included. The cabin sits among the pines and Oaks with mountains all around. Towels, body/facial soap, shampoo and conditioner provided. Spacious living room with 1 queen and 1 double sofa beds. Wawona Golf is 2 miles away. Check in is AFTER 4pm Firm Check out is BEFORE 11am Firm Call #209-375-6554 Diane Martin 1 week before your arrival for check in details and the code to the lock box Address: 2587 Chilnualna Lane Wawona Calif. 95389 There is a Queen and Double Sofa Beds in the living area. Discover some of the worlds most spectacular scenery. Each season brings to life the beauty, wonder and serenity of Yosemite. From Wawona, there are easy day trips to Bass Lake and all the scenic wonders of Yosemite - Tuolomne Meadows, Mariposa Grove, Glacier Point, Yosemite Falls, and El Capitan.